You can think of the difference between the Impact Pro (left) and Impact Sport (right) as heavy duty and moderate duty. Or you can consider the possible uses or pistol vs. rifle and shotgun. You know how the saying goes. Once you go electronic, you never go back. Foam ear plugs are gross and not all that effective. Custom fit earplugs work great, but you can’t hear a darn thing when you’re wearing them. Passive exterior ear muffs also work really well, but still, you’re essentially deaf to what’s going on around you. You know, deaf to important things, like what the instructor or range safety officer is saying. Enter electronic hearing protection. While you can get custom fit electronic devices to go in your ear, they’re uber expensive. They’re fit only to you and you can’t really share them with a friend or family member unless you have identical ear canal genes. 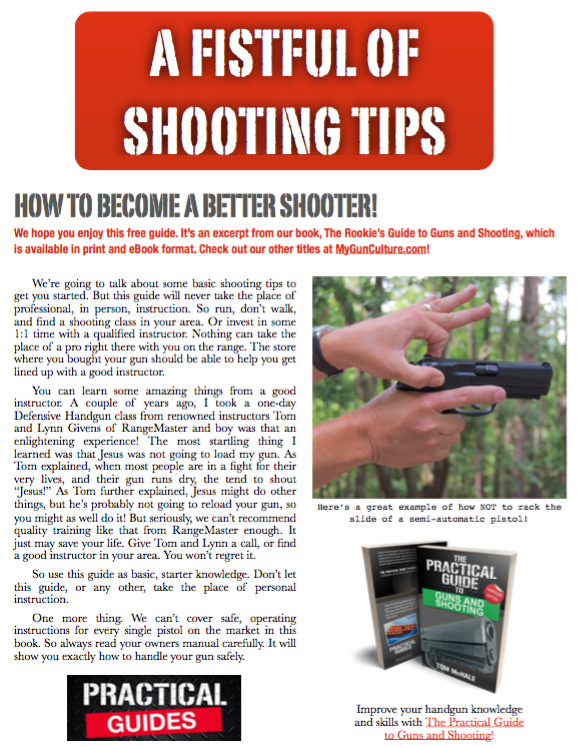 Howard Leight offers a couple of different models that accommodate most, if not all, shooting scenarios. The Impact Pro and Impact Sport models have different goals and we’ll talk about this in a bit more detail in a minute. First, let’s look at what these units have in common. The Impact Sport models are available in forest green, Mossy Oak camo or the teal shown here. Both Impact Pro and Impact Sport models will amplify ambient sound so you can hear what’s going on around you – even better than when you’re not wearing the muffs. Both automatically and electronically reduce gunfire or impulse noise above 82 decibels to help protect your hearing. Remember, each and every exposure to dangerous level sounds permanently damages your hearing, a little bit more each time. It adds up and you never get it back. Always use good ear protection when shooting! Both have what I consider to be a fantastic usability feature: a single on/off and sound level dial that is recessed into only one side. Stay with me a sec, this is important. Most electronic ear muffs have a knob on each side that sticks out from the ear muff body. Turn the knob past a click and it goes on. Keep turning to increase the volume. Invariably, when you toss this style of ear muff into your shooting back, they will get turned on as the knobs are exposed to whatever junk is around them. Your batteries will run dry. Next time you arrive at the range, one or both sides of the muffs will be, in the words of Patches O’Houlihan, “about as useful as a poopy flavored lollipop.” The recessed dial on the Impact series won’t get inadvertently turned on and the dial is only on one side to control both muffs. Simple, clever and it’s kind of a big deal. Oh, if you do somehow manage to leave them on, they’ll turn off after four hours automatically. You’ll still have plenty of the 350 hour battery life left. While we’re talking about nice touches, the battery compartment is accessible from the outside. Other electronic muffs have the battery compartment under foam panels inside of the ear muff itself. This means they get all sweaty and icky when it’s warm. Here in the swamps of South Carolina, I have to remember to remove batteries and prop open the foam covers of other makes to keep them from corroding. Gross. With the Howard Leight models, since the battery compartment is not exposed to the interior, where things get sweaty, you don’t have to perform after shooting drying maintenance. The Impact Pro and Impact Sport models also feature input jacks for iPods and other music players. You can play Pharrell Williams’ Happy song over and over at the range. Both models feature insert power and volume adjustment dials and input jacks for music players. The primary goal of the Impact Sport model is a low profile. They’re intended for shotgun and rifle shooting and the thin profile helps keep the ear muffs out of the way when you squash your face against a rifle or shotgun stock. They do amplify safe levels of ambient sound, like conversation, up to three times normal level. At a noisy range, you can carry on a perfectly normal conversation while remaining protected from gunshot noises. You can find Howard Leight Impact Sport ear muffs in green, Mossy Oak camo or the teal color shown here. The Howard Leight Impact Pro electronic hearing protection ear muffs are super-sized electronic high-attenuating wonders. They’re noticeably thicker and as a result, dampen sound exceptionally well. The electronic circuitry reduces dangerous noise, like gun shots, over 82 decibels and also amplifies normal conversation by a factor of four. It’s kind of like having bionic hearing. Cool and functional. As I shoot mostly pistols and AR type rifles, I find myself using the Impact Pro models more frequently. For me, the wider body doesn’t get in the way when shooting an AR. When I switch to shotguns, I prefer the Impact Sport. You can find the Howard Leight Impact Sport model for about $50 and the Howard Leight Impact Pro model for about $70.